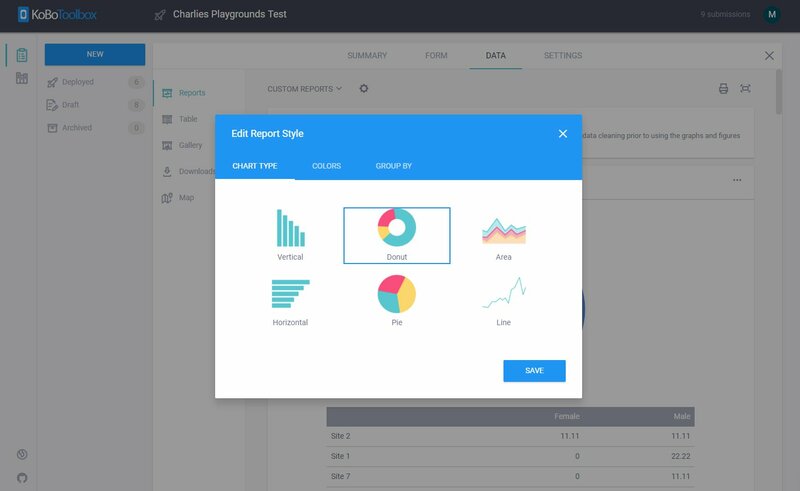 Learn how to navigate and manage the data in the Reports page. 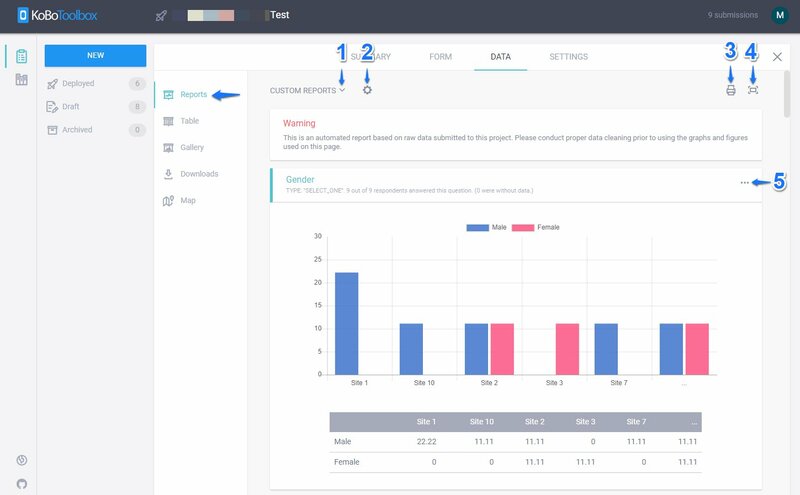 On the Reports page in the Data section of your project, you can create and configure multiple summary reports with custom graphs, tables, and color schemes. The custom reports are shareable by either printing, saving as a PDF, or storing them on an external cloud service. 1. Search through previously created custom reports or create a new one by giving it a unique title and selecting which questions to include or exclude. 2. 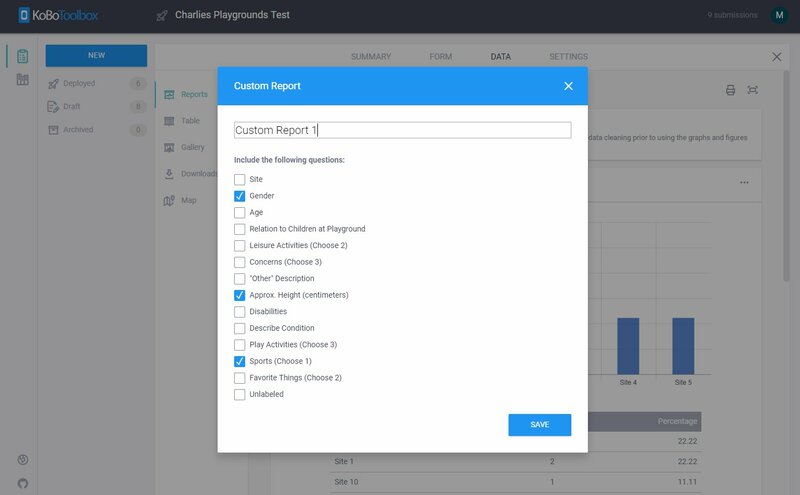 The Configure Report Style feature allows you to change the graph types, color scheme, and group the report by selected questions. 3. Click the Printer icon to print the custom report, save it as PDF, or store it on an external cloud storage service, like Google Drive. 4. Toggle to full screen. 5. Click the 3 Dot icon to customize the colors and graph types for each individual question.